The Quds Force is in charge of Iran's Revolutionary Guards' overseas operations. Syrian military air defences destroyed more than 30 cruise missiles and guided bombs during Israeli air strikes on Sunday, Russia's defence control centre was quoted by Interfax news agency as saying. Israeli air strikes targeting an airport in southeastern Damascus killed four Syrian soldiers and wounded six, the military centre was quoted by RIA news agency as saying on Monday. 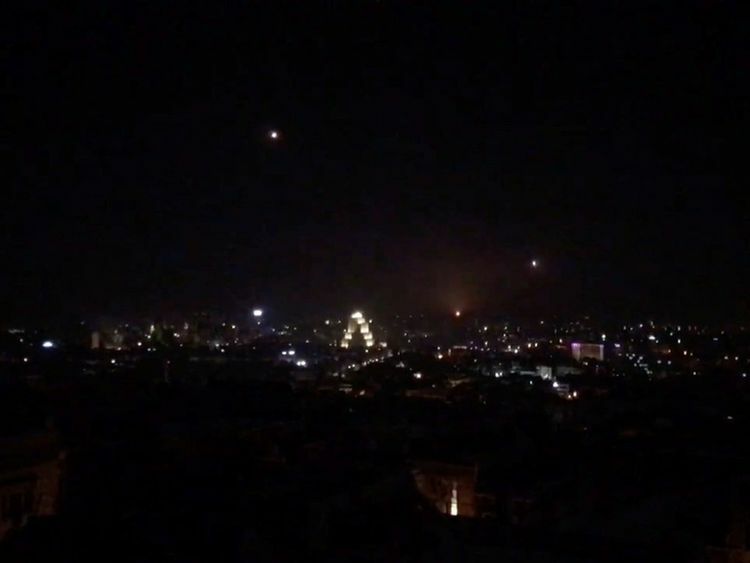 Israel's military said its aerial bombardment targeted "Iranian Quds military sites in Syria", including munition storage sites and a site located in the Damascus International Airport, along with an Iranian intelligence site and an Iranian military training camp.